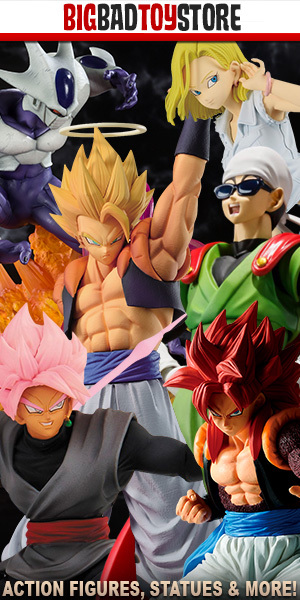 I’m pretty excited to announce that DBZFigures.com is now celebrating its 4th Birthday. If I’m being honest, I’m pretty late to the table with this post. The real birthday of the site is August, 23rd 2014. I’d have posted about it closer to, if not on the actual date, but life has been hectic for Majin Rob these last few months. I’ve made very mild mention of how I’m active duty military in updates here at the site, but as of recently I have finished my contract and returned to civilian life. What does this mean? In short, it means more time for the site. But it also means more time for other things too, so that doesn’t guarantee we will be seeing more activity here at DBZ Figures.com. I hope to be able to bolster the figures database and perhaps find an easier way of cataloguing figures here. I think the methods I’ve been utilizing in the past have been ineffective and are cumbersome for the content author. Now that I’ve unlocked a bit more of that free time I was talking about above, I’d like to start looking toward the future with the site. I want to streamline and expand our figure database. I want to write more guides. I want to post more meaningful news. I want to expand our social media presence. This is a lot for one guy to do. Luckily, for the past several years I’ve had a staff member running our social media. I’d like to take this opportunity to thank Adam G. for this tireless efforts in running our Twitter account and checking in on the Facebook page too. I’m going to do my best, going forward, to find ways to make sure our figure database is updated more often. If I have to stick with the old ways of updating it, then I will. I’ll have to certainly focus on the popular figure lines, in order to prioritize my efforts. But it can be done. I’m curious to hear from you, the reader. How long have you been visiting? What features do you like about the site? What do you dislike? I’m interested in bringing this site into its next stage and your opinions are valuable to helping me to just that. Congratulations and thank you for this site! It has been tremendously helpful for keeping up with the latest in terms of Figuarts news. I like how it’s easy to navigate with a clean layout. This website’s presence should be made known to more collectors/fans out there, especially since it’s very resourceful! congrats on thanks for the site its where i come too for news and pictures of how they look and i love that it has a link to bigbadtoystore on it cuz thats were i get all my stuff from.keep up the great work and many more to come and thanks for the years you did your service.and i been here since the beginning of the site 2014. Very glad to hear users are sticking with us for this long! Thanks! thank and ill keep coming in and seeing whats new or older post i may want to reread. Congrats! And thank you for your service. I found your site in early 2018 when my interest in DBZ returned. I had just learned about Super and wanted a DBZ toyline to latch onto. I’m extremely please with the Figure Rise Standard model kits and have 3 thus far. I find your website informative and a great place to go for more in-depth information regarding releases. Thanks for all you do.